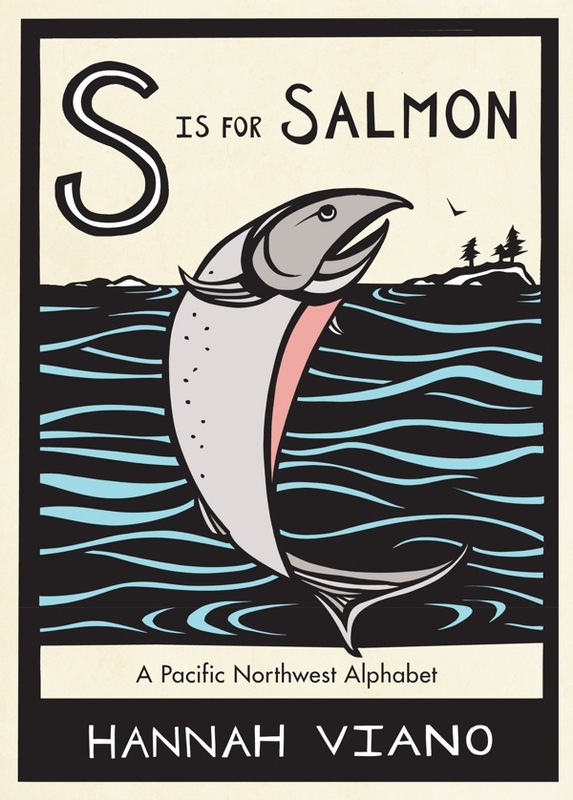 Thursday May 8 we will host a book signing event for Hannah Viano, whose beautiful S is for Salmon: A Pacific Northwest Alphabet is now available. Hannah's art has been featured at Click before; you may remember her amazing pieces, delicately cut from paper. She'll be here for art walk from 6 to 9pm, signing books and showing the original paper-cuts that became the pages of the book. 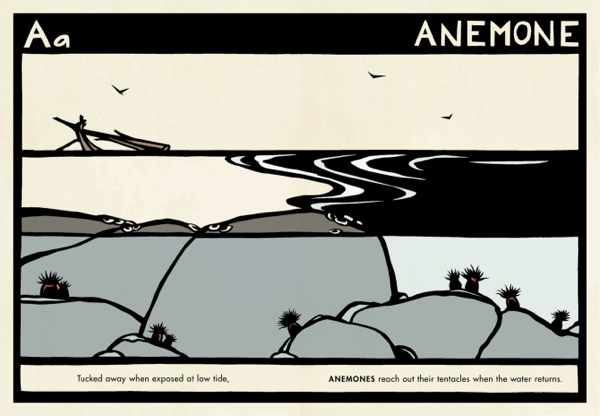 Her new book is a feast of stunning imagery. 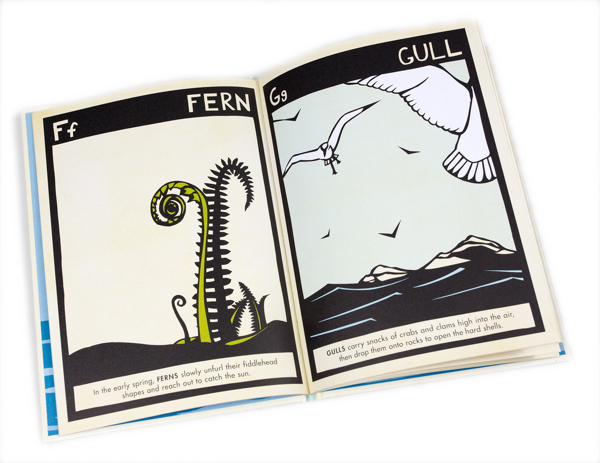 Children and adults will appreciate the unusual alphabet pairings, tuned to aquatic themes of the Pacific Northwest. "Hannah Viano has been a sailor, fisherwoman, outdoor educator, circus performer, and a small town postmistress. She is an artist based in Seattle."